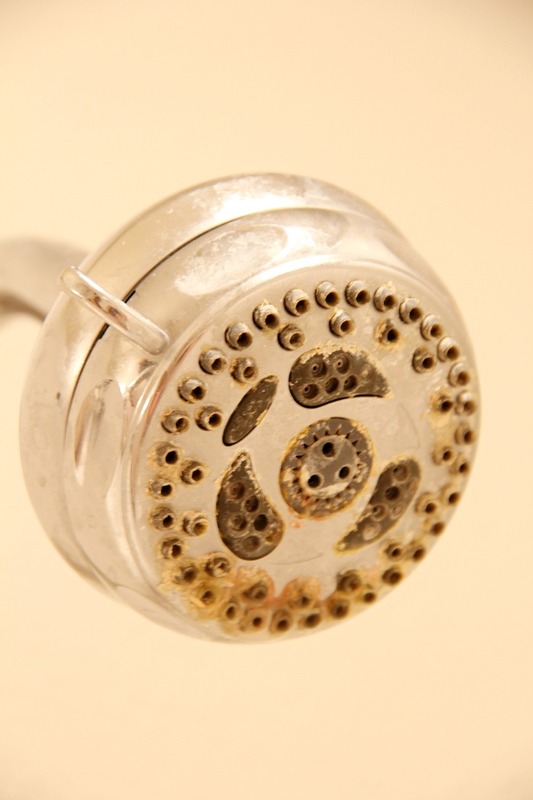 How to Clean a Shower Head – If you have a gross and grimy shower head, this simple homemade solution is sure to make it look like new again! Today we’re taking a break from the air fryer recipes. In fact, we’re taking a break from food in general. Why? Because it’s time I come clean. This is a real-life photo of the shower head in our guest bathroom. I’m not proud of it. And I’m certainly not proud to announce that it had looked this way for several months. The problem was, the buildup of hard water and mineral deposits had gotten so bad, standard cleaning solutions weren’t effective. Because it was just the kids and me who used that bathroom, I let it go and let it go until we started having problems with the water shooting every which way out of the nozzle. I knew how to fix it, so why did I let it go so long? I suppose that’s a question only I can answer, and to tell you the truth, I really don’t have an answer. I suppose I just got “used” to it looking that way. 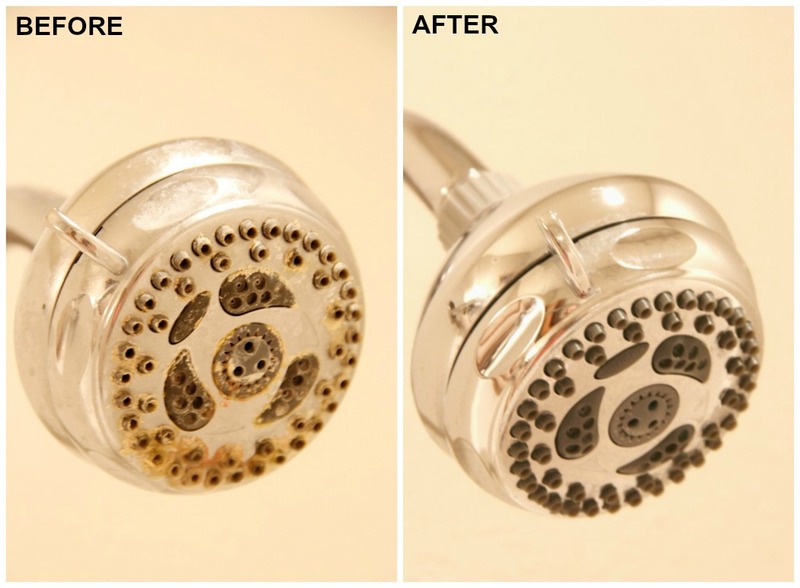 The only thing that matters now is that I finally took action, and my shower head no longer looks like that anymore. So, today, I’m going to teach YOU how to clean a shower head. If yours looks anything like mine, I’m here to let you know, there’s hope. Don’t go running to the store just yet to buy anything new. Let’s try this first. Next, add the vinegar and the lemon juice to the baking soda. 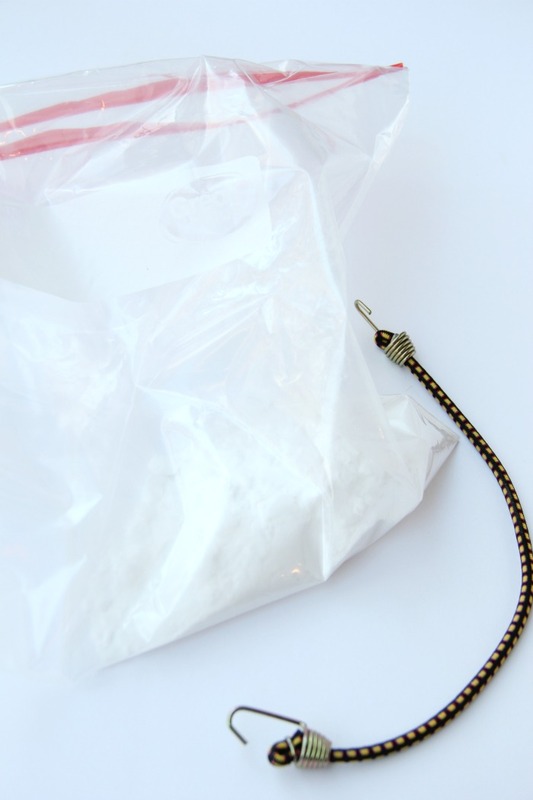 Then take the filled bag and the bungee cord or rubber band and secure it to your shower head. Now here’s where you wait. Allow the shower head to soak in the solution for 3-4 hours. 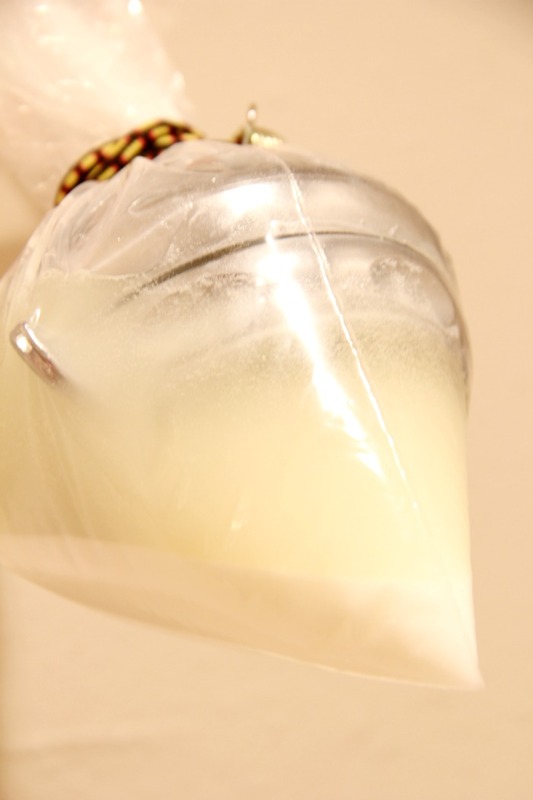 At about the 2-hour mark, place your hand against the bag and actually “scrub” the shower head – using the baking soda within the bag as an abrasive to help scrub off the “now-softened” buildup. After the time is up, remove the bag. Fill a small bowl with warm water and lift the bowl up to the shower head and immerse the shower head in the water to rinse off the baking soda residue from the solution. 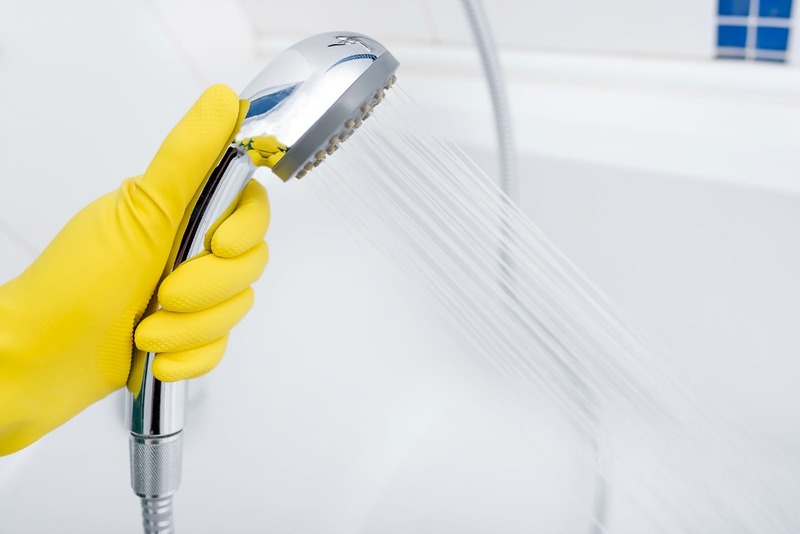 You can use your hand to splash the water around and “scrub” the shower head a bit to get it clean. If any buildup remains, use your scrub brush to loosen it and rinse with water again. 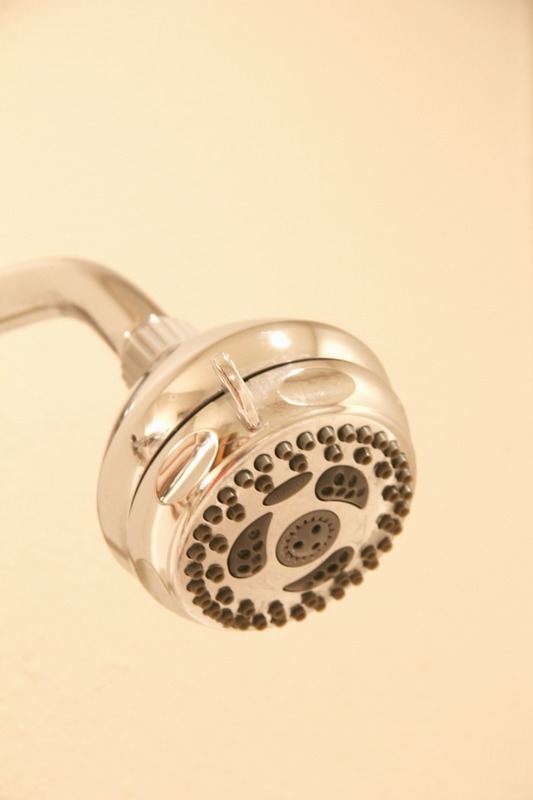 After taking these simple steps, you should see a pretty, shiny, shower head. 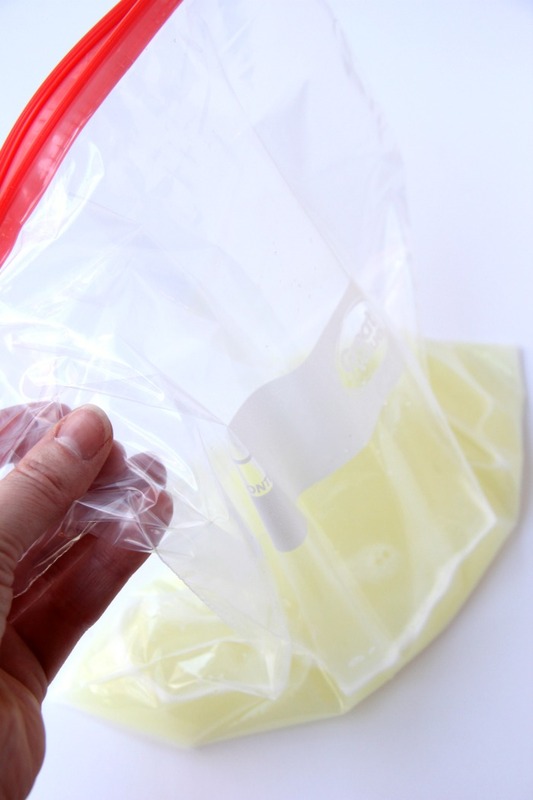 If you find you STILL have any buildup remaining, fill a bag with 1 cup vinegar and secure to your shower head overnight. THIS should take out any remaining buildup. Do you remember what it looked like before? Dingy, dirty, disgusting. Let me remind you. Just take a look at the before and after. Pretty amazing, right? Although the before is pretty embarrassing to show, I’m happy with how things ended up – and I’m happy I finally took action. If you’ve been staring at a dingy, dirty shower head for months now, too, I hope this post inspires you to “come clean” just like I did. You can check out all of my cleaning tips here. There’s definitely more to come this spring, so stay tuned! Isn’t that the truth? There’s always something around the house that needs cleaning, that’s for certain! I used the suggestions and am glad my showerhead is now working correctly. The guide is easy to follow and the methods is straightforward too.